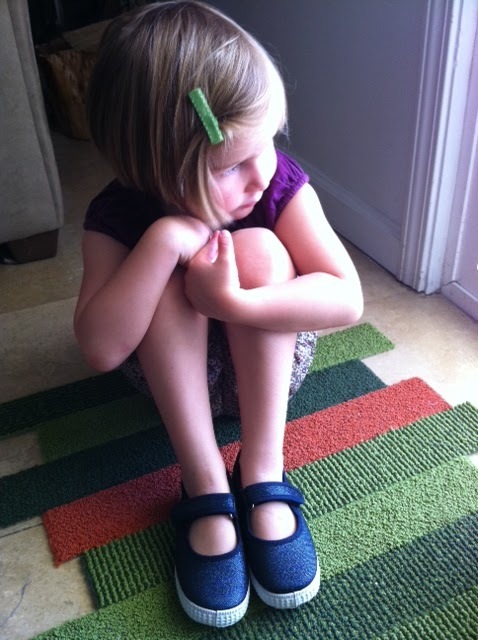 I got an order from The Mini Social today: 2 Tea dresses and one pair of Cientas shoes. I ordered these on a whim and now I’m wishing I had ordered more. I had never heard of this line and I love them! 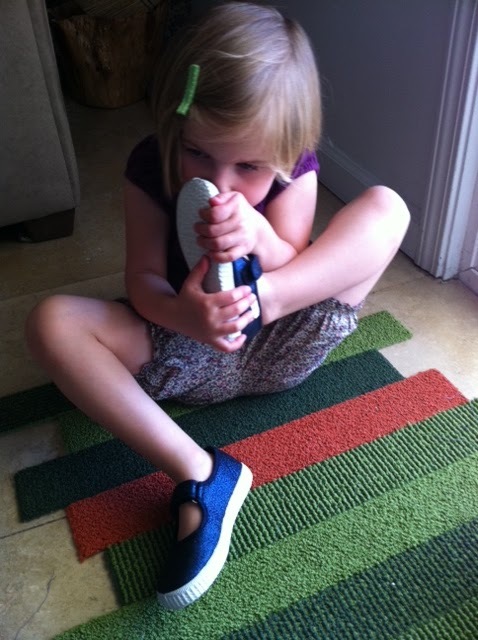 They’re made in Spain, super soft, sparkle, eco-friendly and…..
….THEY SMELL LIKE BLUEBERRY! You can’t even begin to imagine how big this is for a 3-year old! Too fun! !